SAN FRANCISCO--(BUSINESS WIRE)--Jazz Networks launches breakthrough machine learning algorithm that takes a lesson from everyone within an organization before identifying and stopping even the most trusted team member from stealing data or harming the network. 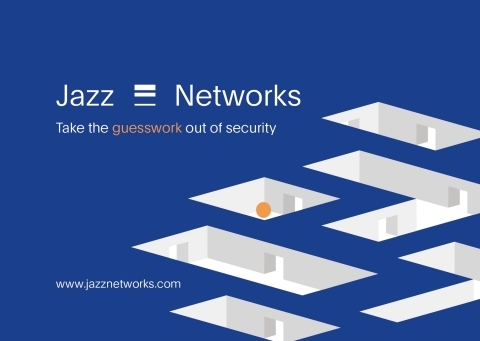 Today Jazz Networks launched its security software. Jazz Networks is the first in the cybersecurity industry to combine machine learning from very large and diverse datasets with verification and learnings from the individual employee. A Cyber Passport is issued to each individual employee and server, quickly identifying top threat actors in an organization. Machine learning applied to a large and diverse dataset on both the endpoint and datacenter side increases the likelihood to detect unusual behavior and take informed actions. Real-time action, i.e. the ability to stop a suspicious process or connection on the fly, is now possible. Action can be taken directly by an administrator or automatically by prompting employees to verify requests if deemed unusual, similar to consumer two-factor verification. By using the Jazz Platform the role of the security professional change, as they save time getting fewer false alerts, more time can be spent fighting real threats.